The PRC Direct Launcher is used to bypass the use of Java when opening InteleViewer to view the full set of images for a patient’s visit. Using the PRC Direct Launcher requires a setting change in your PRC Direct account profile. This will affect the behaviour of PRC Direct when launching InteleViewer for any PC in which this account is used. Therefore if you use multiple PC’s with the same PRC Direct user account, the Launcher will need to be installed on each of those PC’s. 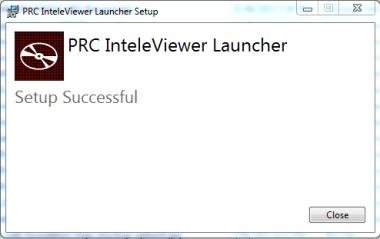 The PRC Direct Launcher does not install InteleViewer. 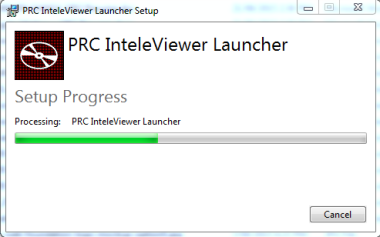 Therefore InteleViewer needs to be pre-installed to work in conjunction with the PRC Direct launcher. If not installed please click here to download and install. Download the Windows launcher executable from the [Edit Profile] page in PRC Direct. The [Edit Profile] page is found by clicking on your name in the top right hand side of PRC Direct once you are logged in. Once downloaded, run the launcher. * Please note – this installation requires administrator access on the PC. When the launcher has completed installation you will see a ‘Setup Successful’ message. Once the launcher is installed on your PC, go back to PRC Direct and return to the [Edit Profile] page. 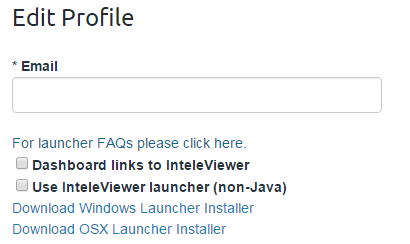 Tick the check box to enable the option ‘Use InteleViewer launcher (non-Java)’. Enter your current password and then click [Update] to save your settings. 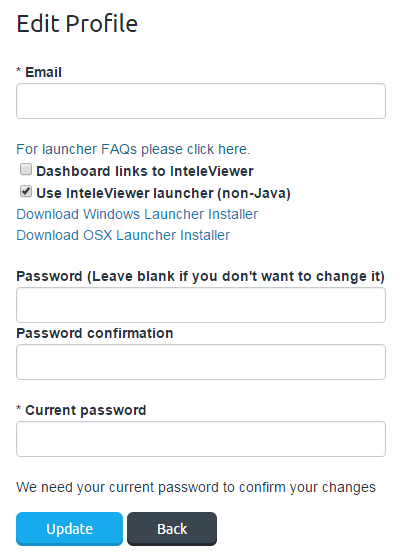 Download the OSX launcher from the [Edit Profile] page in PRC Direct. Once downloaded move the launcher to the Applications folder. Once the launcher is in the Applications folder, go back to PRC Direct and return to the [Edit Profile] page.